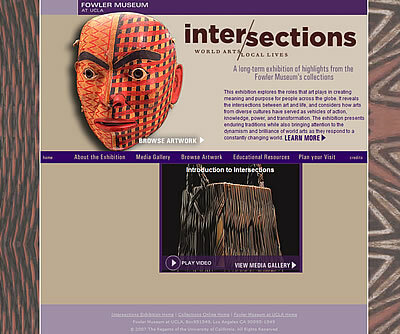 We designed two separate projects for the Fowler Museum at UCLA. 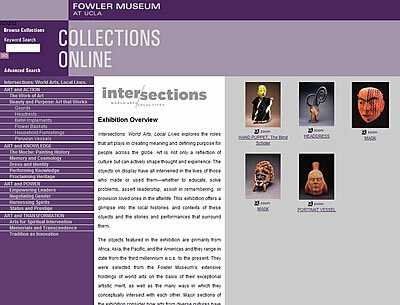 Intersections is an online version of the museum exhibition highlighting key objects in the Fowler’s collection. 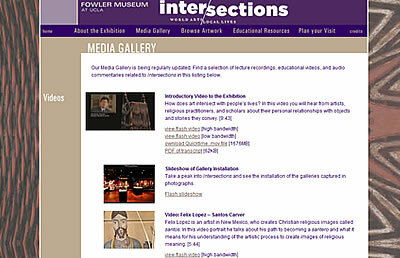 Video, audio lectures, and audio tour podcasts can be accessed in the site’s Media Gallery. We also redesigned the interface for their searchable Online Collections application, partnering with the ever resourceful Systems Planning development team.